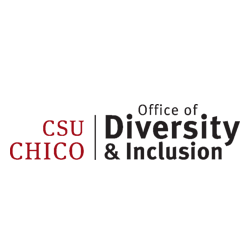 TGC was hired for three consecutive semesters by Red Hot Metal, a company that creates functional metal sculptures for businesses in the Chico community. RHM is the umbrella company of Cutting Edge Products, an internationally renowned high-end glass blowing tool manufacturer. Before TGC and RHM connected, RHM had no social media strategy or plan. Social media is a crucial part of modern business promotion, and additionally a very popular tool in the glass blowing community. TGC established a Facebook business page and has since developed several strategies on how to better their social presence. Through the various lessons we held, teaching them important skills for example, Facebook boosting, FB Lives, tagging, sharing, tracking analytics and how to create posts that encourage engagement RHM now runs their own social with the guidance and review of TGC. Within just a semester's worth of time we were able to increase their Facebook likes by 100 and provide them with the tools and confidence to run their social succesfully on their own. While having updated and engaging social is important, the content being posted is even more crucial. RHM over the past three semesters has worked with five TGC videographers to create videos for their social and website to provide their customers with guidance on better utilizing their Cutting Edge Product tools and highlighting the work they do for the Chico community. We have worked closely with this team of talented individuals to highlight their passion for art and creativity and provide them with the tools to showcase that to the world.